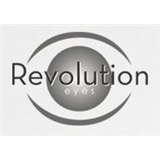 Revolution Eyes (Katy) - Book Appointment Online! Providing comprehensive eye exams, medical eye exams (including red eyes, dry eyes, eye infections and diseases) contact lenses and the latest designer frames! We are conveniently located at the northeast corner of Cinco Ranch Blvd and Spring Green in the Plazas at Spring Green shopping center (Next to Pepperoni's Pizza and Shipley's). Dr. Vi Nguyen is amazing, very informative, great experience, i would highly recommend Dr. Vi Nguyen to anyone.